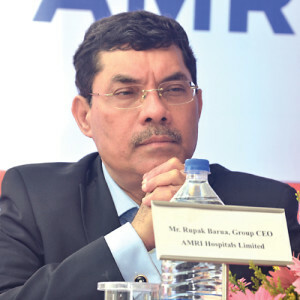 How is AMRI Hospitals employing patient monitoring technology? We all know the fact that technology is helping immensely in finding medical solutions and hence a lot of attention is being paid to technology of late. Additionally, mobile apps, sensors and software developed by Accenture have emerged as essential tools for collecting critical vitals of patients, which are available forÂ doctors even through SMS service. Even AMRI Hospitals uses such technology and our patients get reports of their pathological tests through our website after their blood samples have been collected. In the mobile technology segment, the facility of downloading online reports is a beginning. It is predicted that the use ofÂ remote patient monitoringÂ technology in conjunction with electronic health record (EHR) could save healthcare industry US$700 billion in 15 to 20 years. What is your opinion? In India, the rate of adoption of remote patient monitoring technology is even now in a nascent stage. However, it for certain that in the healthcare industry, electronic medical record (EMR) can change the entire delivery system in future. Additionally, medical care can become more efficient and error free without the intervention of human resource. However, as healthcare providers, it is also important for us to identify which mobile technology is useful and what we need. At AMRI Hospitals, we already have the facility of online prescriptions and we implement the latest technology wherever possible. What measures have been undertaken by AMRI Hospitals towards wireless patient monitoring? Please provide details. To accelerate move towards wireless patient monitoring, we have introduced a robot in the intensive care unit (ICU) located in our Bhub aneswar centre. 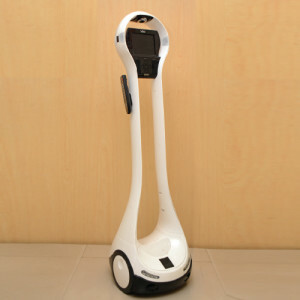 The doctors through this robot can remain in touch with patients even withoutÂ being present themselves. As patients have access to it through remote control, it can fetch medicines and other necessities on command. In our critical care units, we offer high-end facilities and we are in a discussion stage with General Electric (GE) to begin an e-ICU or a remote control ICU. This will be implemented on a hub and spoke concept basis, which will be especially beneficial in rural health development. At AMRI Hospitals, Bhubaneswar, the diabetes treatment unit is known for being extremely advanced in terms of technology. Please provide details. Kidney diseases affect millions of people worldwide; 10 per cent of the population worldwide is impacted by some form of kidney disease. The latest numbers show that chronic kidney diseases is predicted to increase by 17 per cent over the next decade and is recognised by the World Health Organization (WHO) and other organisations as a global public health issue. Therefore, it is crucial to encourage and facilitate education and awareness about chronic kidney diseases. AMRI Hospitals in Bhubaneswar has an advanced department of renal sciences. The nephrology department is well equipped with a state-of-the- art haemodialysis unit with facilities of dialysis for hepatitis patients. It also has the facilities of kidney biopsy, plasmapheresis, continuous ambulatory peritoneal dialysis (CAPD)Â and permcath insertion. It provides advanced facilities to patients with all kind of kidney-related disorders, both acute and chronic. The urology department has exclusive facilities, such as high- end lithotripsy (extra corporeal shock wave lithotripsy (ESWL)) for urinary stone diseases, and 100W holmium laser for the treatment of kidney stones. There are facilities also for prostate problems, urethral obstruction and bladder tumours. Apart from routine urological operations, advancedÂ laparoscopic procedures, such as nephrectomy, pyeloplasty, etc., are also being routinely performed in the department. Advanced facilities are also available for the treatment of various renal problems in the paediatric age group. AMRI Hospitals, Bhubaneswar recently collaborated with Asian Cancer Institute (ACI) of Mumbai. What are the facilities offered here? We offer world-class cancer treatment to the people of Odisha and East India. The cancer population in India is around 45 lakh, of which around 10 lakh of new cancer patients are getting added every year. While men in India are getting afflicted mostly with cancer of head and neck, lungs and prostate gland, women are getting largely diagnosed with breast cancer along with ovarian and cervical cancer. The causes of cancer and the new areas of treatments are still being studied and addressed globally. Through this collaborative endeavour, ACI will try to reach out its services beyond Mumbai and offer world-class treatment in cancer to the entire country. In the first phase, we have set up a 50-bed cancer treatment facility in Bhubaneswar. What is your view about medical device manufacturing in India, especially when it comes to patient monitoring? Medical devices are the most important source of clinical care today. So far we used to import major patient monitoring devices. Now, important devices, such as electrocardiography (ECG) machine and pulse oximeter, are manufactured indigenously and have also helped in rural areas. Additionally, multinational corporations (MNCs) have their own research and development (R&D) facilities in India now, like GE and Philips have established their R&D set-ups in Bengaluru.